Rescued from traffickers, blind moon bear Hector had his sight restored at Animals Asia's sanctuary and one year on he's a vision of loveliness. With his first year of sanctuary life behind him, and with his mended eyes guiding him around his enclosure, Hector is a happy bear using all his senses to forage out his breakfast. Hector will now live out the rest of his life at Animals Asia's Vietnam Bear Rescue Center. 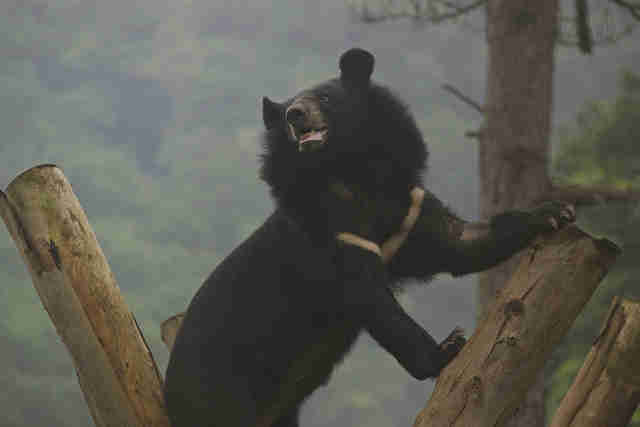 He's yet another victim of the bear bile industry which destroys the lives of thousands of bears in Vietnam and China. Due to the demand for bear bile as an ingredient in traditional medicine, bears are held in captivity and suffer regular, painful bile extraction. It's possible to for bears to endure up to 30 years of such torture, but in reality, most are starved, dehydrated and suffer from multiple diseases and malignant tumors that ultimately kill them. One year on from his rescue, this is Hector's story. 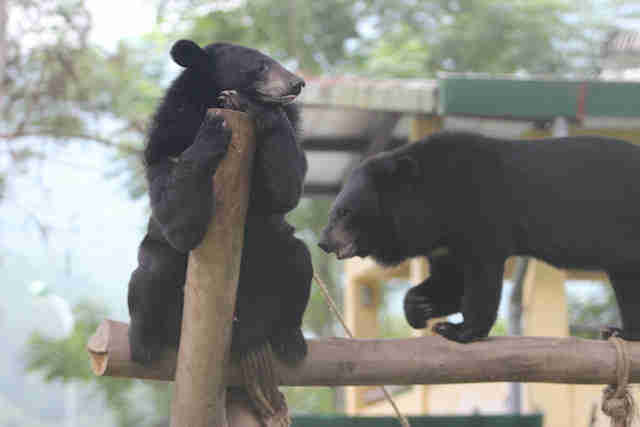 Rescued from poachers by Forest Protection Department staff, big sister Dung and little brother Hector (then called James), were fortunate enough to be brought a short distance to Animals Asia's Vietnam Bear Rescue Center. 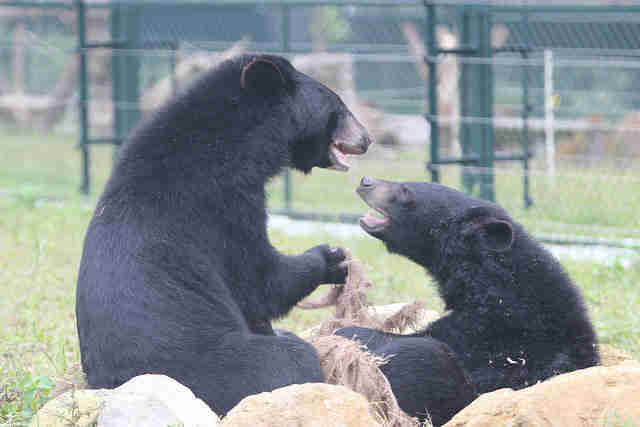 The pair, who were so nearly sold into the bear bile industry, then found themselves in an entirely different world. One where they had space to forage, friends to share experiences with and freedom to express their natural behaviors. Yet, when they first set foot in an outdoor enclosure, Hector could know it only by touch, scent and sound as cataracts had left him blind. Despite his disability, Hector quickly proved himself to be a truly remarkable bear. Staff recall him defying his blindness by immediately climbing the highest structure on his first time in a sanctuary enclosure. A few months later and the young bears were ready to meet the other juveniles at the sanctuary. When Nora JamJack, Rain, Ricky and Joey met Hector and Dung, it was love at first sight. The six bears were immediately wrestling, playing and foraging together and smitten photographers had declared them "the cub pack." 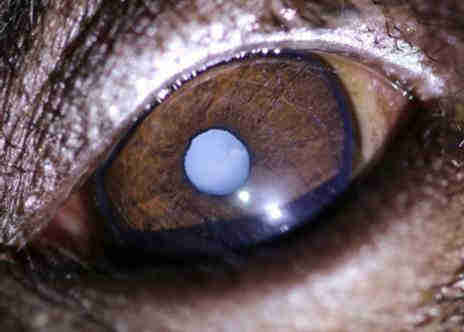 Having learned to live and play in complete darkness, Hector then had his sight miraculously restored when visiting veterinary ophthalmologists from the UK's Animal Health Trust surgically removed his cataracts. Following surgery, the inspirational bear seemed determined to make up for lost time with the young moon bear friends who shared his enclosure. With the ability to see Hector became more curious than ever before - approaching visiting photographers, viewing his enclosure from the top of climbing structures and watching his strange guests as closely as they watch him. It wasn't long before "the cub pack" came of age. In December last year, Dung, Hector and the rest of their pals were ready to be integrated with a group of 15 older bears. Now happily living in a community of 21 bears in a large open space, Hector and Dung's rehabilitation is complete. It's a remarkable recovery achieved in just one year, but the real work of caring for these two incredible bears has only just begun. Animals Asia is committed to caring for Dung and Hector for the rest of their natural lives. It truly is a lifetime commitment and one we consider an incredible privileged.